How do i forward all my text messages to another phone? For solution is android : Many more android app are available for forward your sms to some particular number. microcontroller located on an application board. for more deatilas about ST-LINK V2 programmer clik here. 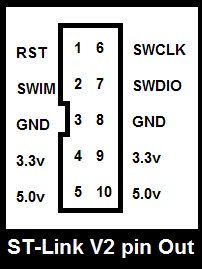 SWIM is Single Wire Interface Module, See SWIM protocol deatails. Usually the first program of everything (Controller) in electronics we start from blink example. Alternatively you can download the full standard library for STM8 from ST website. First you will need a setup a local web server tool like Apache or some other. Download and install XAMPP Software. When finish installation XAMPP, By default the XAMPP control panel will be launched. Click “Start” for Apache and MySQL if needed. results or for any consequential or incidental damages whatsoever. The frequency of a wave the number of waves that pass by each second, and is measured in Hertz (Hz). In Modems contains a switches, thet lets you choose between full duplex and half duplex modes. choice depends on which communication program you running. What is full duplex communication? The transmission of the data in two directions simultaneously. What is half duplex communication? Wired communication protoc0ls : I2C, One WIre. Bootloader is a piece of code that runs before, any operating system is running. Bootloader are used to boot other operating systems, usually each operating system has a set of bootloaders specific for it. Bootloaders usually contain several ways to boot the OS kernel and also contain commands for debugging and/or modifying the kernel environment.